I am a little behind with reviews but as I have just started reading a biggish book, that might be as well I like to have something left to write about here. Still although it’s only been about eight days it seems ages since I read this Brookner novel. Family and Friends opens with a wedding photograph, a group of family and friends in the 1920s, Sophia Dorn – always called by the diminutive Sofka – her eldest son; Frederick, the pride and joy, her daughters; Mimi and Betty all in white, while Alfred the youngest and favourite sat crossed legged at the front with assorted other children. This wedding photo and the ones which follow later in the novel form a frame for telling the stories of these family members and their hangers on. The final photograph coming on the last page – it is the last one in the album we are told by the unnamed narrator. The family live in Bryanston Square, London, Frederick at only twenty-one is at the helm of the family business started by Sofka’s late husband. Alfred is just sixteen, but expected upon leaving school to enter into the business, learn it all from Frederick and the faithful Lautner who has been there since the beginning and without whom the firm wouldn’t be as successful. Mireille and Babette (Mimi and Betty) are the pretty daughters, whose job it is to flirt while the boys go out and conquer. However, Frederick already has itchy feet – eager to escape the confines of the business and leave it in the hands of his little brother. Frederick meets Eva, of whom Sofka is immediately suspicious – rightly so as it turns out, for it isn’t long before Evie (as she prefers to be called) has spirited Frederick away to Italy to help run a family hotel. Alfred, much to his frustration is left to run the business, any hope of freedom slipping daily away. His adult life (still only sixteen) starts as it will continue, living with his mother and sisters, spending his days at the family business, which he discusses with Lautner each Sunday evening in Sofka’s drawing room where she serves her famous marzipan cake. The two sisters are quite different, Betty, reckless and wild, she longs to run away to join the Folies-Bergères. Mimi, the elder of the two is milder, dreamy and beautiful. Once a week Betty accompanies her sister to her piano lesson with Mr Cariani, here they meet Mr Cariani’s son Frank, a darkly handsome, lithe dance instructor. Betty does run away – to Paris where she intends to get a job dancing, having arranged to meet up with Frank Cariani. Sofka is furious and sends Mimi and Alfred to Paris after her. Alfred’s seventeenth birthday passes while he sits miserable and forgotten in a city he doesn’t want to be in. Believing she has everything in hand Mimi sends an unhappy Alfred home on an earlier train, while she meets up with Betty, finding her in a pavement café just as Frank arrives. Mimi who was always the sister Frank preferred, expects to win him back. She sits all night by the window in her hotel room waiting, and Frank never arrives to win her, the devastation she feels seems to set the course for the rest of her life. Betty never does return home, swapping Frank for Max, and Paris for California. With Frederick and Evie in Italy, Mimi and Alfred remain with Sofka. There are letters and phone calls from Frederick and Betty – but the life of Sofka’s house continues without them. As always in life, the years pass by with almost unbelievable speed – and as they do Alfred’s disappointment and resentment grows. In his hands, the business goes from strength to strength, and in time he buys a country house; Wren House – where the family go at weekends. Times have changed since that first photograph was taken and family relations have fractured. A war has come and gone, barely mentioned by Brookner, although Sofka understood the dangerous times when a woman she knew vaguely once, appears at the door selling lace. It’s a delicately revealing passage – the reader understands that Sofka and her old acquaintance are Jewish. As ever, Brookner’s characters drive the novel, the plot is simple enough, but – again as ever – her sense of place is superb, I always enjoy her descriptions. An introspective little novel, with little dialogue, it is a quietly evocative portrait of a family. My third read for this month’s Brookner in July – and possibly my favourite of the three. I was captivated by Brookner’s beautiful prose from the first sentence. Emma Roberts is twenty six and living a fairly claustrophobic existence with her widowed mother in a London flat. Emma realises that it is time she break free from this world which includes frequent visits from her mother’s disapproving and domineering brother. Emma is a reserved young woman, who longs to be like other young women, attending parties and having lovers, and yet she seems incapable of living such a life. Offered a scholarship to study seventeenth century garden design in Paris Emma grabs her chance. Once in Paris, Emma takes a room in a small Hotel. At the library where she goes to work, Emma meets Francoise Desnoyers, a confident worldly young woman with whom Emma soon strikes up a friendship despite their obvious differences. So when a family tragedy requires Emma to rush back to London, it turns her life upside down. Flitting between Paris and London, and failing to find herself really at home in either place, her relationships with others all seem quite one sided. Emma wants a man in her life, likes the idea of being married, but her relationships turn more towards friendship and companionship, while Francoise ultimately rejects love, by opting for financial security. Emma struggles to find her way – not certain where home is now. Emma is not an entirely unsympathetic Brookner characters, but she is typical in her whiney introspectiveness, Emma is slightly cold, and her reserve puts her at a distance from the reader. However Brookner’s elegiac final line in this novel gives raise to some hope for her. This really is a really lovely Brookner novel. Anita Brookner’s wonderful sense of place is again in evidence, I fairly gulped it down. The second of my Brookner reads for Brookner in July. Providence is described on Goodreads and elsewhere as a romantic comedy –not sure that I see it in quite those terms, but it is a novel I enjoyed very much. This is an early Brookner novel – in fact it was only Brookner’s second novel. In her first novel –A start in Life, the main character believes her life has been ruined by literature. In this novel, Kitty Maule is similarly affected by her literature. Kitty wishes to be “totally unreasonable, totally unfair, very demanding, and very beautiful.” Instead Kitty is an attractive woman of thirty, she can barely remember her French mother, and spends time worrying about her grandparents, submitting herself to her grandmother’s dressmaking – and plagued by her annoying neighbour Caroline who plays her radio loudly to stave off loneliness. Kitty is a lecturer in literature working with a small difficult group on the classic French novel Adolphe. Kitty’s desire for success in her romantic life even drives her to consult a clairvoyant. For Kitty has been having a somewhat lukewarm romance with fellow academic Maurice. Cool and immaculate Maurice has a sorrow in his past from which he is still suffering. Maurice also has his faith, his absolute belief in divine providence. After two years Maurice is often a disappointment to Kitty; she feeds off his occasional endearments and small kindnesses. Kitty’s romantic pursuit of Maurice takes her to France, a depressing room in a Parisian guest house where she waits for Maurice to break off his tour of French cathedrals to pay her a hurried visit. While Kitty nervously prepares for a lecture, and wonders about Maurice’s commitment, Maurice is considering his own future. Providence is a quiet, beautifully observed and enjoyable novel, it is the kind of novel where little happens – but I like novels like that, and there is some truly brilliant characterisation. The pervading atmosphere of the novel is one I recognised as typically Brookner – just it is less bleak than some of her later novels – although there are no smiles at the end, we can hardly expect that now. I often find it hard to like Brookner’s central character, but in Kitty Maule I find she has created a character I actually rather did like. It was Maurice I couldn’t take to. Kitty is a fairly typical Brookner heroine (if that’s the right word) she does rather wait for things to happen – she compares herself with the other unmarried women that she knows – and allows herself to remain disappointed in her life and in her relationship and does nothing to further her own happiness. The ending was for me, therefore in no way unexpected. Providence would actually provide an excellent starting point for anyone coming to Anita Brookner’s work for the first time. The first of my Brookner in July reads – I hope to do one or two more this month of Brookner reading. Claire Pitt is an attractive young woman, living alone in the mansion flat where her mother died. Although not really in need of money, Claire has taken a job in a book shop owned by octogenarian sisters Muriel and Hester. Claire works in the dusty basement on the sisters father’s papers. She enjoys the work, becomes fascinated by the man whose articles she is painstakingly transcribing from piles of rotting newspapers. It is while working in the basement that Claire meets Martin Gibson, and is immediately curious about him, soon finding herself attracted to him. Martin is married to a manipulative invalid Cynthia – and Claire and her friend Wiggy are drawn into Martin’s world after they pay a courtesy visit to Cynthia. When Cynthia dies suddenly, Claire begins to imagine a possible future for herself with Martin. Yet as Claire comes to see she doesn’t fully understand Martin, he is not all that she would want him to be. It is the detail of Brookner’s character’s lives that is so very good. The small suffocating lives of Murial and Hester having lived with their father, they have continued to live for him, carrying on what he had started until they are too old to go on with it. Wiggy’s upstairs neighbour Eileen whose unexpected death so shatters Wiggy, as it serves to highlight the loneliness of a woman who had presented to the world a rather different face. I find the portrayals of these lives to be so beautifully rendered that they somehow take away from the bleakness – oh there is bleakness I admit that. Claire probably spends far too much time, ruminating on her life, remembering her mother and how she had lived her life. Claire is a young woman, she sounds far older than she is, she needs to just get on with living her life. I know many people find Anita Brookner “depressing” – a word I often see applied to Anita Brookner in online reviews. It is true, that Brookner’s characters are not always very likeable – they live small disappointed lives, falling for unsuitable or disinterested men. On the surface it might seem that Anita Brookner writes about lives far removed from our own – upper middle class women, with inherited money, living in mansion flats in North London. However there is a truth about Brookner’s world – that is maybe a little unpalatable. Strip away the privilege and the London setting and Brookner’s characters could be anyone – anywhere. There are many small disappointed lives being led out there – people isolated and alone – they may not indulge in the kind of introspection that Brookner’s characters do, but the result is the same. Anita Brookner may be a bit like marmite, now I don’t like marmite – I do like Brookner – but I understand why other readers are less keen. Incidently – I do love the cover of this book – I think it perfectly encapsulates Brookner’s world. 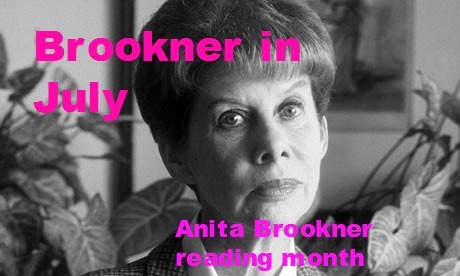 Brookner in July the Anita Brookner reading month is here. I only came up with the idea couple of months ago – and I’m not sure how many people are joining in. I have six Brookner novels sitting here TBR – and while I won’t get around to all of them, I hope to read two or three of them. 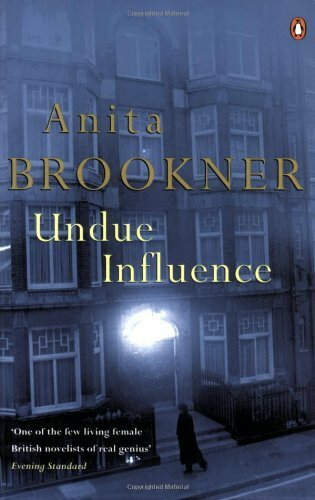 I have started reading Undue Influence, and have: Providence, A friend from England, Leaving Home, Friends and Family and The Next Big thing to choose from later. At the Hairdressers (2011) – a penguin short – available exclusively as an ebook –is a short story of approximately 35 pages. 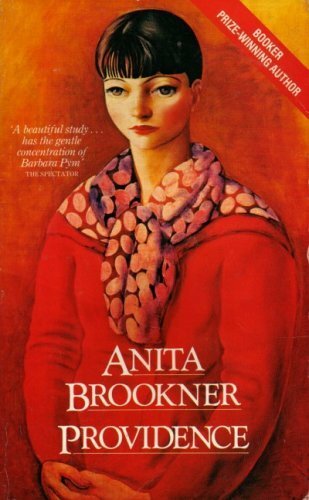 It is the most recently published work of Anita Brookner who is 85 later this month. I read it on Saturday afternoon in preparation for Brookner in July. The writing is typically Brookner – the themes of ageing, trust and betrayal seem familiar too. Elizabeth is 80 years old, living in a dark basement flat in Victoria. Elizabeth rarely leaves her flat, and when she does it is just to go shopping or have her hair done. A chance encounter at the hairdressers one day leads to unexpected change for Elizabeth. At the hairdressers is moving but not in any way depressing (as some consider Anita Brookner to be) – the writing is beautiful and proves that even in her eighties Anita Brookner is still an astonishingly brilliant writer. Her observations are as acute as ever, the prose itself divine. This lovely little story really whetted my appetite for Brookner in July. I do hope some of you will be joining me and will be particularly interested to hear of anyone reading her for the first time. Please feel free to leave links to your own Brookner reviews in the comments below. “They sat islanded in their foreignness, irrelevant now that the holiday season had ended, anachronistic, outstaying their welcome, no longer necessary to anyone’s plans. Priorities had shifted; the little town was settling down for its long uninterrupted hibernation. No one came here in the winter. The weather was too bleak, the snow too distant, the amenities too sparse to tempt visitors. And they felt that the backs of the residents had been turned on them with a sigh of relief, reminding them of their transitory nature, their fundamental unreality. And when Monica at last succeeded in ordering coffee, they still sat, glumly, for another ten minutes, before the busy waitress remembered their order. Now I like Anita Brookner – although I accept that she is an acquired taste. 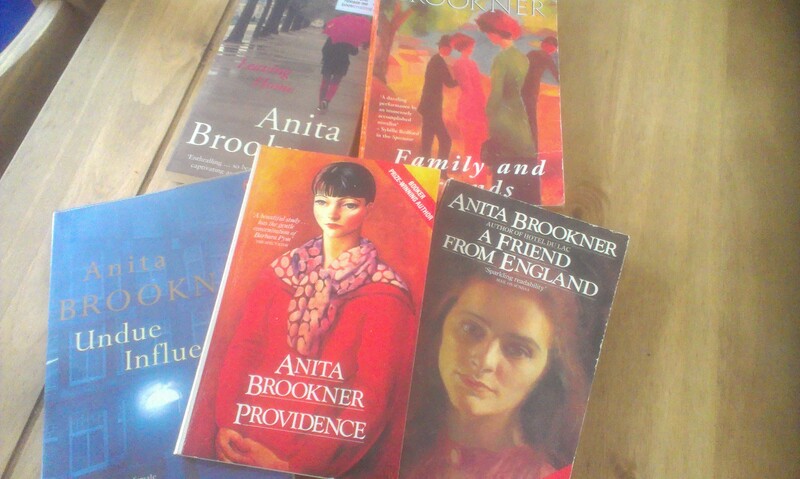 In July she will be 85 – and I thought it might be nice to honour such a prolific and well thought of British author with an Anita Brookner reading month. Brookner published her first novel A Start in Life in 1981 when she was 53 – since then publishing a novel almost every year. Anita Brookner’s writing is beautifully poignant – maybe to be avoided if you are feeling down, but I do find her portrayal of small disappointed middle class lives to be exquisitely done. The themes of her novels are largely those of loss, disappointment and fitting into society, her characters are often lonely or isolated in some way. There is no one who captures the mood of rainy London streets at dusk, or the sadness of a Sunday afternoon like Brookner. So July it will be – a chance to read her for the first time, or like me to read novels which you already have TBR. 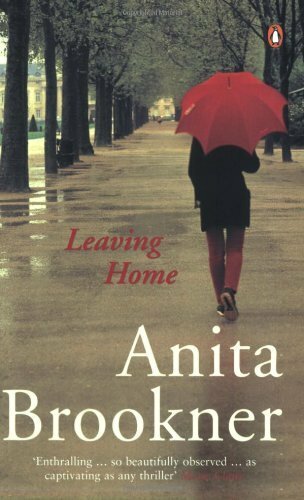 I have gone for a month rather than a week – as it gives people chance to dip in and out – maybe reading an Anita Brookner novel at the beginning of the month and another at the end of the month. I have to admit that Brookner is probably not an author whose novels I would want to read too closely together. However I do have five Brookner TBR – and this will be a good chance to get at least some of those read. Anita Brookner has published twenty four novels – her last full length novel was published in 2009, since then there has been a novella published exclusively as an ebook. Of these I have read eleven. So there are still plenty that I could choose from, as I intend to read ones I have not read yet rather than revisit ones I’ve already read. This is the list of Brookner works according to Wikipedia. So I do hope that some of you will join me in reading some Anita Brookner in July. I would be grateful if you could all help spread the word, I know that there are many Brookner fans out there – and it would be nice to reach some of them. Now then for the techy bit – lots of people hosting reading weeks/months/challenges have a snazzy little button to go with it. I haven’t got one – last time I tried (and sort of succeeded) in making one – I nearly had a breakdown and needed loads of techy help – so I’m not going there again. If there is anyone out there who likes doing that kind of thing and wants to make one for me – I would be hugely grateful. Otherwise I am sure we can manage without a snazzy little button. If you don’t have any Brookner novels and want to join in, UK readers may I point you towards your local charity shops, almost all the Brookner novels I have now and have read in the past have come from charity shops – I see them all the time.